My name is Anjali; I am a filmmaker living in Nairobi. Just a couple weeks ago in Kenya, my friend Matanda and his wife were killed in a bus accident on their way home. They left behind seven children, who are now orphans. Five of them are still in primary school. They have no-one to take care of them financially. The concept of Harambee means "all pull together" in Swahili. And I believe we can do this together. We have started a trust for the children, and your donation to this GoFundMe will go to that trust. Funds raised will make sure the kids stay in school, are clothed and fed, have somewhere to live and have basic medical insurance. The $28,000 we are trying to raise represents the amount to do all of this for the seven kids for the next two years. Every penny we raise beyond that amount will go to the trust, and to supporting the kids until they are grown. I met Robert Matanda ten years ago on the finish line of a peace race in Northern Kenya. It was the way he rolled his Rs when he told me how he used to "rrrrrrun so very fast" that got me hooked. We spoke every day for years, before I even knew we were making a film about his life. That film is about to be seen by the world in competition at the Hot Docs Film Festival in Toronto: the biggest documentary festival in North America. I should be happy - ecstatic. After all, it took Robert Matanda, Julius Arile (my other main character) and I 10 years to make this film. 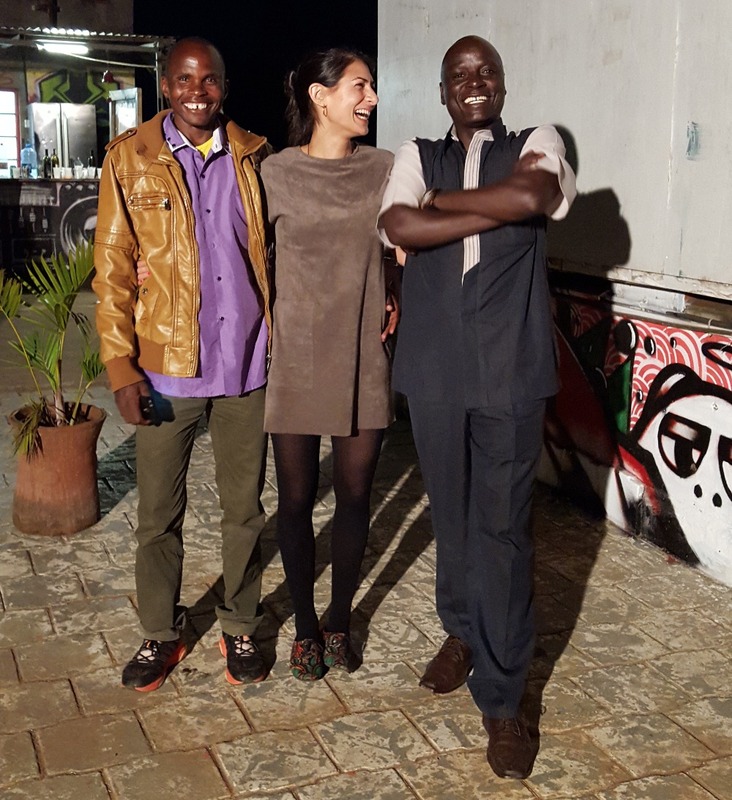 Julius Arile, Me, Robert Matanda at a screening for the film in Nairobi. In fact, we were happy the weekend of April 5th, when we watched the film together during a pre-screening; both men and their wives had travelled to Nairobi for the screening and a marathon. 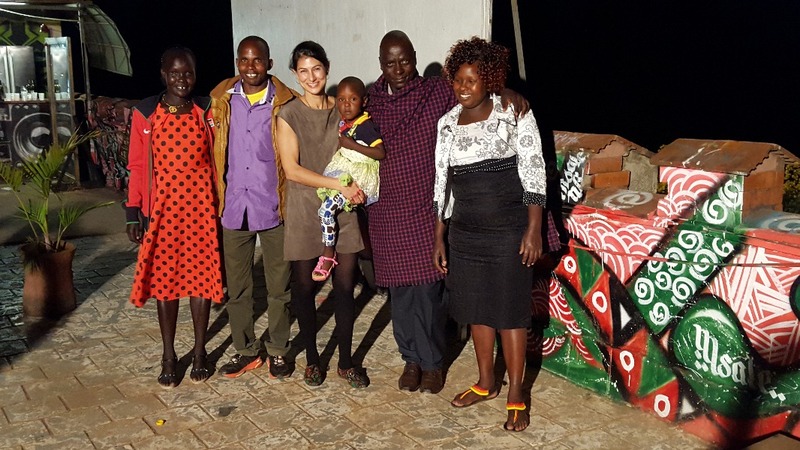 Julius Arile and his wife, Baby Anjali and myself, Matanda and Stella. But the celebration was short-lived. On their way back to Northern Kenya, Matanda and his wife Stella were killed when the bus they were in was hit by an oncoming truck. Apparently the driver of the oncoming truck was on prescription pills. We didn't know what had happened for two days. We had been calling Matanda and Stella's phones (without response) to see if they had reached home safely, when we saw this article in the paper , with a photo of their daughter Anjali (named after me) in the hospital. The hospital was reaching out to anyone who might know her identity. A good samaritan carried her from the crash site to the hospital. It's the kind of grief that will stay with you forever. I still haven't been able to tell some of the closest people in my life. And I definitely don't know if I'll be able to make it through the film's premiere. Amidst all of this I know we have to be thankful for one thing: their daughter survived. Kenya is one of those places where, when you have even a bit of money, you end up taking care of your family members' children. And Matanda and Stella took care of their own three biological children, and four others. But what happens now that they have passed away? To say the least, we are worried about the kids. 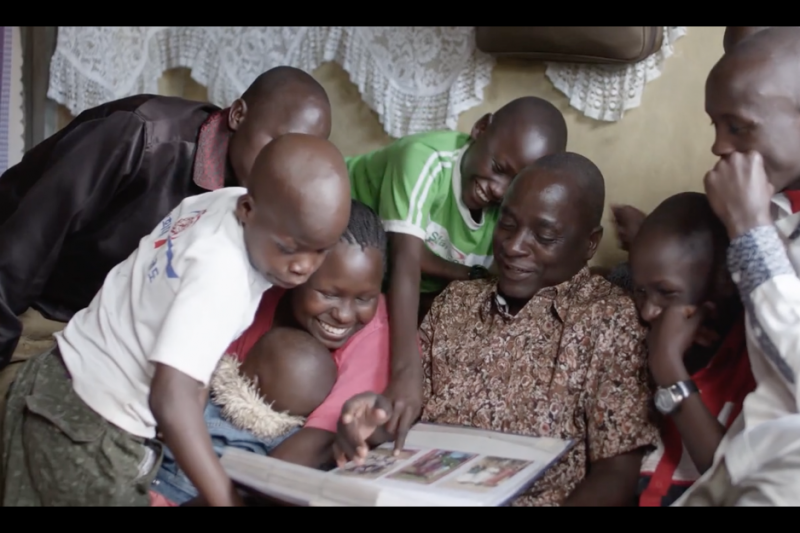 The rest of Matanda's family lives in the deep Kenyan bush, where there aren't good schools. Matanda, Stella and all the kids they supported. 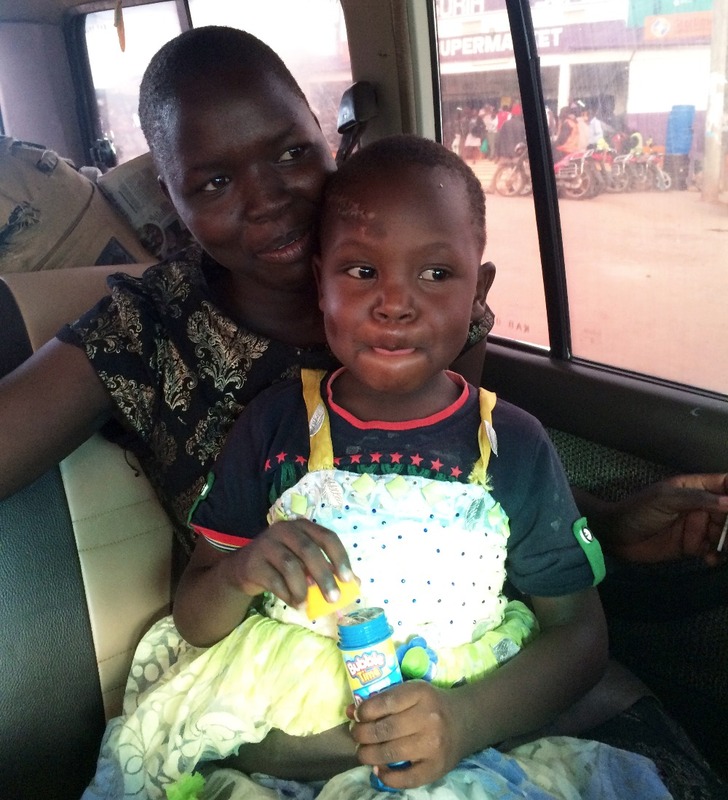 Up until the accident, Matanda was providing a good education for the children. 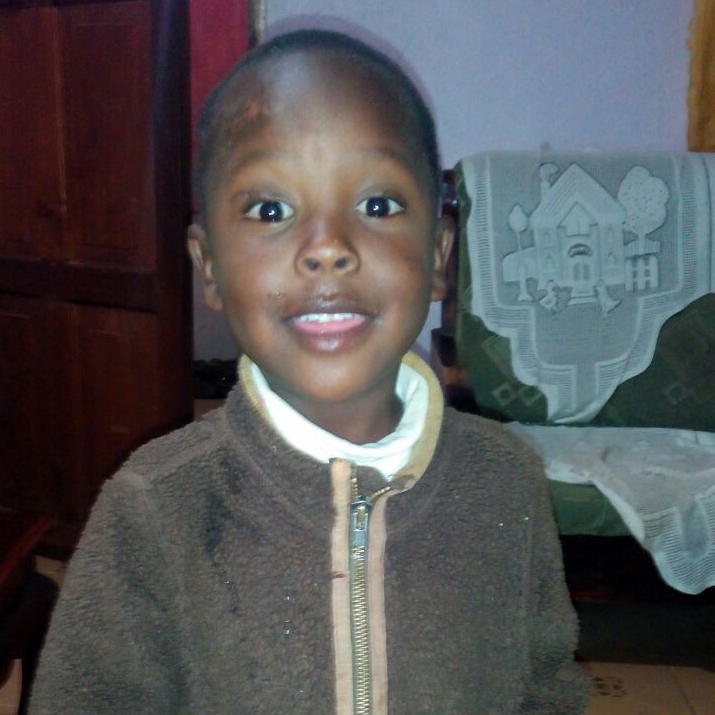 Collins Matanda, Matanda's second born son, in school. Also, in this rural culture, it's not common to be hands-on and tender with kids. But Matanda was; he did everything for those children. It has been our only consolation - to make sure these kids are loved, taken care of and will get a good education. I've taken little Anjali to the pediatrician (to get her stitches out, dealt with a rash that's developed on her skin and checked on her leg), I've copied the kids' birth certificates (for safe keeping), visited teachers at their old school (and budgeted the school fees and requirements*), checked report cards, and spoken with concerened neighbours. Most importantly I've spent time with the children, listened to their their fears and given them lots of love. 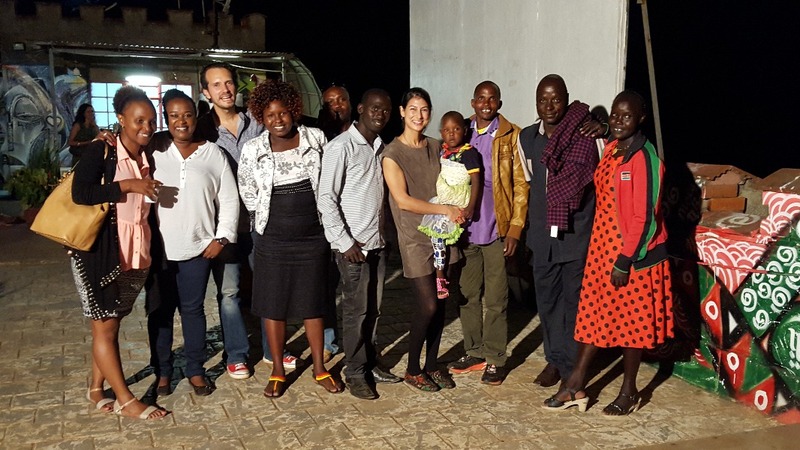 Eliza (Arile's wife), Myself and Matanda's children and relatives watching the film a couple weeks ago. Baby Anjali still has a full leg cast. Part of me just wants to pick them all up and take them with me to Nairobi or bring them home to Canada, but we know it's not the best thing for them (family is important), it's also almost impossible to get legal guardianship of kids in Kenya as a non-Kenyan citizen. 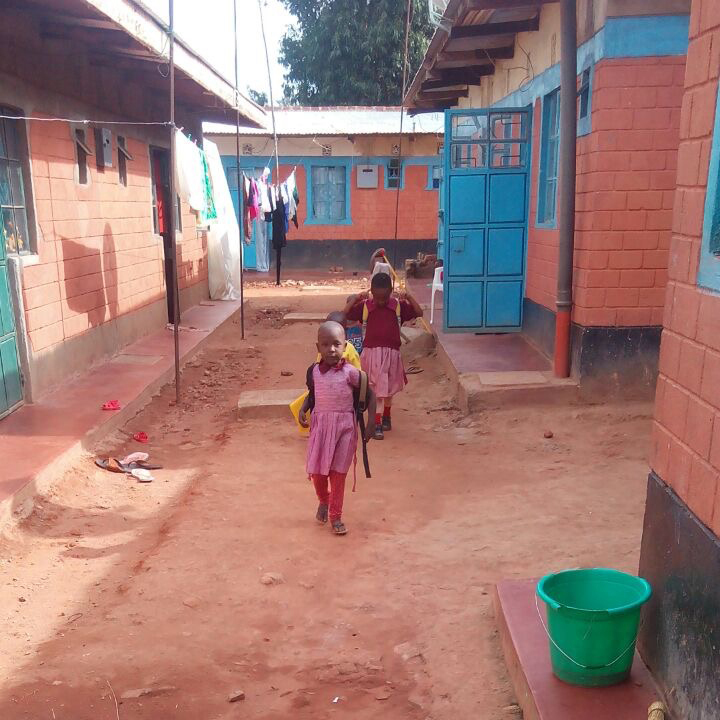 Starting in early May, the kids will all go back to their well-rated school in West Pokot county. Some of them were previously day students (when they lived in town), but now they will all be boarding (it's best if they are together). It's way too early for little Anjali to board (she's just turned four), but considering she's not getting the care she needs in the bush, it's better she's with her siblings and closer to the pediatrician and the neighbours. There will be a matron to help with her care at the school. If this doesn't work out, we can adjust. Baby Anjali got some bubbles after her trip to the pediatrician in April. She bravely got the stitches taken out of her head and the doctor checked on her broken leg (injuries from the accident). Mercy, her non-biological sister, is with her. During school breaks, the kids will stay with their family in the Kenyan bush (a place called Kapkoi) and (hopefully) on occasion with me, in Nairobi. All in all, we forecast* $2,000 per child per year, so $14,000 per year for all seven children. - $800-1000 - insurance, medical, transport to school and back, books/clothes, sanitary napkins and other necessities for off-term times. As a community that cares, we need to band together to support these children the way Matanda would want. Our short-term goal is to raise the fees for the next two years ($28,000) and the long-term goal is to raise money for the next five years ($140,000). We've started a trust in Kenya, so that there's full transparency; it's so essential when kids are involved to make sure things run with a vision for the future. 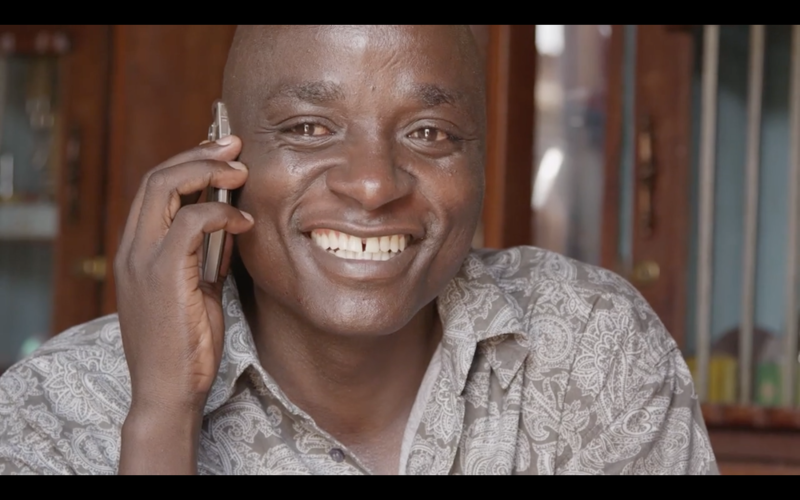 The Kenyan Trust has three signatories -- two of our filmmaking team and a lawyer. Hopefully one day, these children will be the first in their family to attend University. But first things first -- the new term starts shortly. The concept of Harambee means "all pull together" in Swahili. I believe we can do this together. And if and when we do, I'll be eternally grateful. Thank you so much from me, Anjali Nayar, and the entire Gun Runners family. Debra, Kim, Joan, Stella, Peter, Haron, Big Anjali, Small Anjali, Arile, Matanda, Eliza. If you want to be more involved in helping these children, please don't hesitate to be in touch with us. GoFundMe doesn't permit email sharing but you can reach us on twitter and we'll send you our email addresses. *There's boarding school fees, the costs of supplies for boarding (uniforms, mattresses, mosquito nets, toiletries, the list goes on and on). There's also the cost of insurance, so the family or school won't hesitate to take them for care if something goes wrong. Obviously the youngest little girl (baby Anjali) still has a lot of medical follow-ups, physiotherapy and counselling (she saw her parents pass away in front of her, but she's too young to understand they aren't coming back). Thank you all for your incredible support. We could never have done this for the kids without your help. (Photo is of baby Anjali and her cousin Joy). We'll be sending our next update on the children this coming week, so please let us know if you don't receive it! If you didn't receive the first update around the New Year, let us know as well, and we'll re-send. (Google email has a tendency of putting Mailchimp Newsletters in the Spam/Promotional folder). Firstly we want to thank you all for your incredible kindness and generosity towards Matanda’s children! 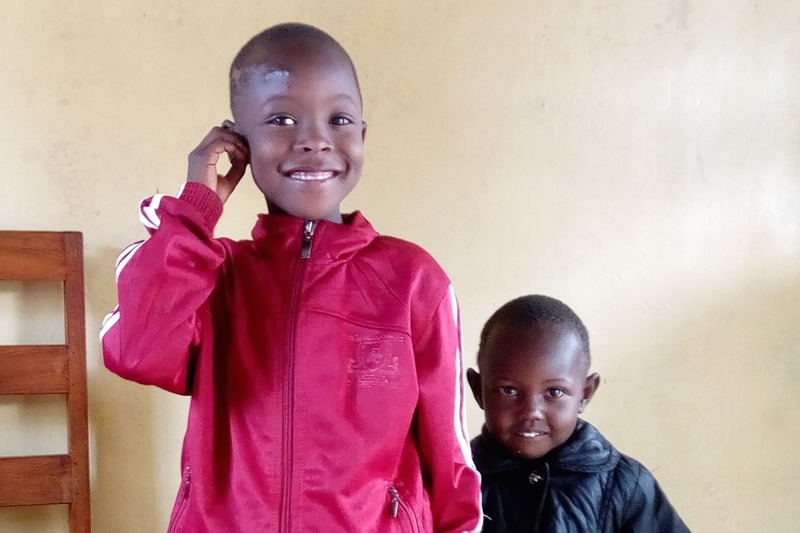 We’re sorry it’s taken so long to write an update; we’ve been working very hard to get the kids back in school, do all the school shopping, set up medical insurance, get the Trust documents in order and do the accounting – all thanks to your support. But we come with good news! Baby Anjali is walking again and back in school! It took nearly two months for her fracture to heal and there were some complications along the way with her sutures, but thanks to her wonderful and caring pediatrician, siblings, neighbours and friends, she’s back to the bright and cheeky girl we all know. It’s cold season in Kenya, so not a week goes by without a cold or cough, but all in all the rest of the kids are doing well. We’ve set up a support group around the children, including a local pediatrician, the local pastor, a neighbor with children in the same school (who is now housing the two girls) and a teacher, who similarly lost his parents when he was young. We hear from the children and this support system almost every day. Attached are some photos taken by the school teacher and neighbour (GoFundMe updates limit attachments to 3 photos -- we'll send more soon). 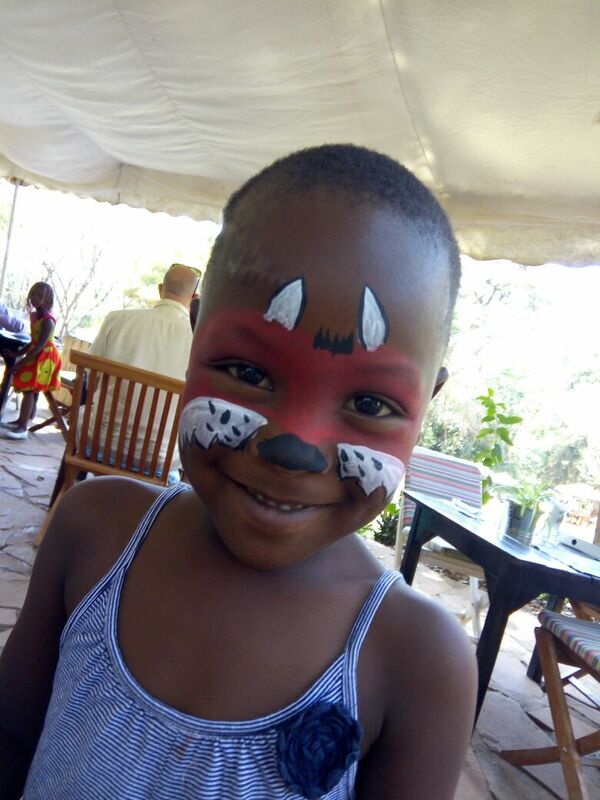 We’ll be in touch more during August, when the kids are out of school and will be spending some time with Anjali in Nairobi. We’re hoping to do some therapy with the kids (beyond their local church group), because the children are understandably still going through a lot of emotional highs and lows (in particular, Mercy). Unfortunately no revenues from the film itself will go to the kids because we (the filmmakers) don’t own the film! The film is owned by the National Film Board of Canada, a government entity, and as such, the NFB isn’t allowed to raise or solicit money. Government rules. 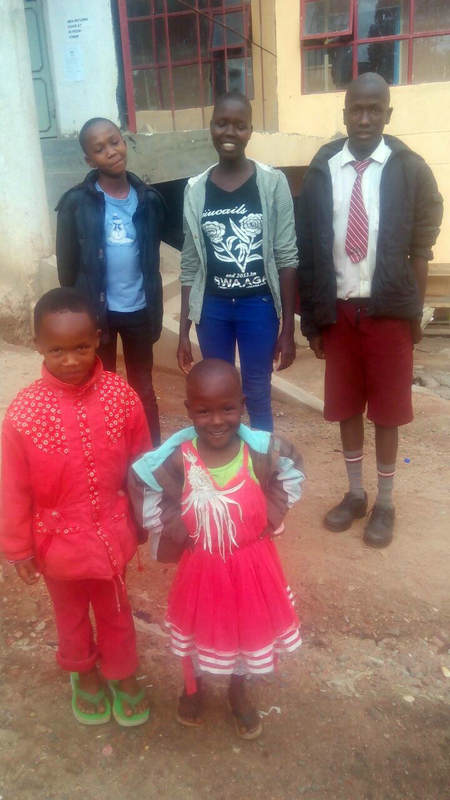 That’s why we (the filmmakers) have independently started a Trust and this GoFundMe– to do everything we can do to make sure Matanda’s kids are OK. All the money from this GoFundMe goes straight to the needs of the children. Everyone on our team is donating his or her time and expertise (parenting, medical, accounting, legal, design) to help out. If there’s any way you feel like you could help out – please don’t hesitate to contact us at matandaeducationtrust(at)gmail(dot)com. On another note, we have just finished a successful run of Gun Runners in Australia and now are preparing for the film’s theatrical launch in September/October. We’ll keep you posted on dates and times! Anjali, Joan, Sam, Debra and Noorie. Can we still donate? Please message me so that I know if this is still being managed. Our hearts are broken that they have suddenly passed and the children are now orphans. We were rooting for Matanda and his family. Praying we can help somehow. I watched the documentary Gun Runners and felt I needed to help. If we all share what we can afford, we can change lives for the better. Although nothing can replace their parents, at least their future can be a little more hopeful by getting a decent education. Inspired by the community in Gun Runners and wish for peace and education for the children of Matanda.